Antique black, dirty taupe, and old gray greens are some colors/textures that will instantly age your piece. The original rug had many different fabrics hooked into it, which became faded and worn over the years. 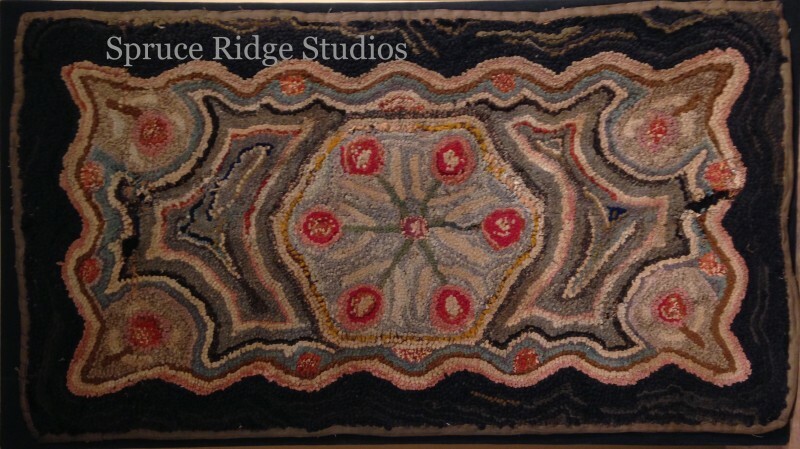 Working in collaboration with the McMinn County Living Heritage Museum, I adapted this design from an antique rug in their collection. A portion of the sale of this pattern will be donated back to the museum, to be used for their textile preservation program.